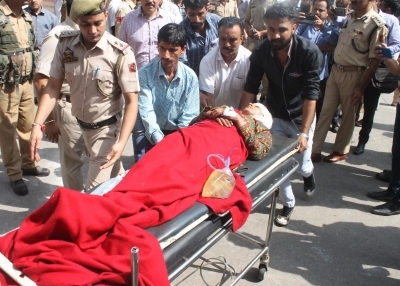 Jammu Sep 14 (IANS) Twelve people were killed and 10 others injured in a road accident in Jammu and Kashmir s Kishtwar district on Friday police said. The accident took place after a mini-bus went out of the driver s control and plunged into the Chenab River in the Thakrie area. "Reports indicate that there were 25 people in the mini-bus. A search is on to locate if there are more people " the police added.